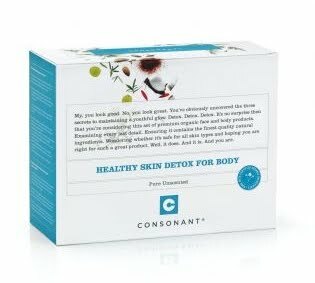 The generous folks of Toronto-based organic skincare line Consonant are offering a Healthy Skin Detox for Body Kit to one lucky Solo Lisa reader. Valued at $49, the kit contains a 125ml Organic Foaming Face Wash, a 250ml Organic Body Lotion, and a 250ml Organic Body Wash. Consonant uses organic natural ingredients in high concentrations to achieve younger-looking, healthier skin without the use of irritants, artificial fragrances, or harsh chemicals. I had the privilege of trying their 30 Day Challenge Kit and loved their products so much that I'm still using them. It's just a great skincare line, period. This giveaway is open to readers in Canada and the US. To enter, leave a comment on this post telling me what you do to pamper your skin. The contest ends Friday February 18th at 12pm Pacific time; a winner will be chosen randomly. Good luck! Heey I'm back! I give my face a facial steam of red clover and lavendar and then clay mask it, that's my way of pampering myself. enter me!! I am a recovering skin product junkie trying to use what is in my kitchen to pamper my skin. Once a week, I put raw honey on my face as a hydrating mask for 15-20 minutes. Sometimes I mix with organic plain yogurt. My skin is softened and brightened. I also take 2 spoonfuls of cod liver oil a day - great for the skin! I keep a routine of washing my face every morning and night with a 3-in-1 Cleansing Bar + exfoliate once a week + day and night moisturize. To be honest I don't do all the crazy masks and stuff all too much, but by keeping this routine I believe I'm taking good care of my skin! If I really wanna get pampered I go to a spa and get a facial. I just wash my face and use an anti wrinkle lotion (i'm suddenly become very scared of aging :( haha). Cleanse, moisturize and keep makeup simple. Nowadays I'm so busy that I only reach for my Clinique High Impact lipstick in extreme pink. Sugar and lemon juice :) Smells yummy! There's no pampering involved in my skincare routine. I simply wash and moisturize. I add baking soda to my cleanser for better exfoliation. When I feel like giving my skin a pick-me-up, I usually give it an aspirin mask (one uncoated aspirin with a little bit of water to turn into a paste). It works like a charm! Simple, cleanser and moisturizer at night and exfoliate once a week. Would like to start getting regular facials though. I cleanse, tone and moisturize (with spf 15!). If I'm going to outside for a while, I layer Dermologica SPF 30 (non-greasy, non-white filmy) on top, even in the winter. I'm into organic lines, and recently started using Dr Haushka and I love their face oils! EEK! I could definitely use this. I use the clinique three step program..but that's about it! I wish I was more disciplined..also I feel like Toronto has aged me already! GAHH! I give myself glycolic acid facial then hydrate with eminence couperose c serum and lavender mist to tone my skin down. Neutrogena face wash and Laneige moisturizer. OK, I am officially entering. What I do to pamper my skin is use only all natural, organic products. I am a Cetaphil believer! I like to do a deep pore cleansing mask every so often. I will use a face mask every once in a while then moisturize and leave my face makeup free for the evening! I wash day and night with a moisturizing cleanser. Then in the morning I apply serum followed by day moisturizer (with SPF of course) followed by eye serum. At night I apply a night serum and night moisturizer followed by eye cream. I exfoliate twice a week with DDF exfoliating toner. I would love to explore more organic products! I exfoliate at least twice a week and wear sunscreen everyday!